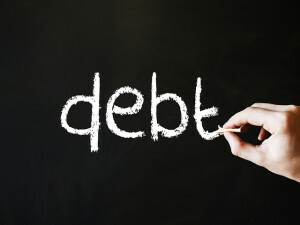 If you are tired of being harassed by relentless debt collectors and you are wondering how filing for bankruptcy can help, the answer is a protection afforded to debtors called the “automatic stay.” As soon as you file your personal Chapter 7 or Chapter 13 petition, the stay immediately goes into effect and prohibits further collection activity against you. This means that all telephone calls, demand letters, lawsuits, garnishments and other similar forms of collection tactics must immediately stop. There are some exceptions to the automatic stay, so it is important to confer with a bankruptcy attorney regarding what matters will not be halted by your filing. Some of the more common examples of matters that can continue even though you filed for bankruptcy include certain family court matters, criminal court proceedings, and tax audits. If you have a creditor that has a secured debt (a loan where you pledged an asset as collateral for the lender), it is important to understand that the creditor has the right to file a motion and ask the court to lift the stay as it applies to that lender’s specific debt. There are certain requirements that must be met for the court to grant this type of motion. If the court grants the creditor’s motion, the stay is lifted as to that creditor and the debt at issue. This means that the creditor can proceed with certain actions against you and/or the asset pledged as collateral. For example, if you fail to pay your car loan and you do not have insurance coverage on it, the bankruptcy court may permit your lender to repossess the vehicle. Although the bankruptcy laws were designed to primarily protect debtors, they also set forth many safeguards for creditors as well. If you are concerned with how the automatic stay will apply to your debt and the collection actions being taken against you, contact us today. This entry was posted in Bankruptcy, Chapter 13, Chapter 7 and tagged attorney, automatic stay, bankruptcy, Brevard County, Chapter 13, Chapter 7, collection, lawsuits, lawyer, Melbourne, Space Coast on October 7, 2015 by Michael Faro. When you fall behind on your bills, it doesn’t take long before you are being harassed by debt collectors. Whether you owe the debt or not, it is important that you understand your rights under the law. The Fair Debt Collection Practices Act (FDCPA) is an important law that prohibits debt collection agents from using unfair, deceptive or abusive tactics to get consumers to pay their past due accounts. The FDCPA specifically applies to “debt collectors” which is defined as an individual or entity who routinely collects debts owed to others. This means that the statutes apply to collection agencies, lawyers who regularly collect debts and debt-buyers. Harassment. A collector cannot harass a consumer by threatening violence, using profane language, or calling the debtor repeatedly to annoy him into making a payment. A debt collector is prohibited from threatening to publish the consumer’s name on a list of people who refuse to pay their debts. Unfair practices. There are a variety of ways a collector can engage in unfair collection practices. Common examples are attempting to collect additional fees that are not allowed under the contract or by law, depositing post-dated checks early, or making threats to seize the borrower’s property when the collector has no such right. Deceptive statements. A debt collector is prohibited from lying about who they are or who they work for. A collector must truthfully tell you the amount you owe. Further, the collector cannot lie about actions they can take against you or falsely claim they will have you arrested for not paying your debt. Finally, a collection agent is prohibited from providing false credit information to any other parties, including credit reporting bureaus. Consumers deserve to be treated with respect and honesty. If a debt collector is taking any of the above actions against you or is otherwise harassing you, contact the legal team at Faro & Crowder, PA, for the advice and guidance you need. This entry was posted in Debt and tagged collection, debt collector, FDCPA, harass, rights, violate on July 16, 2015 by Michael Faro. 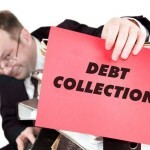 If you have fallen behind on your bills, you are probably being contacted by debt collectors. The debt collection industry is known for using harassing tactics to persuade debtors into paying their debt. As a result, the Fair Debt Collection Practices Act (FDCPA) is a law that was passed prohibiting collection agents from using unfair, misleading or abusive practices to collect money from borrowers. Under the FDCPA, a debt collector is anyone who routinely works to recover debts owed to others. Thus, the definition includes collection agencies, lawyers who regularly collect debts and debt-purchasers who try to collect delinquent accounts. Unfair practices. A debt collector must act fairly with you. This means that the collector cannot attempt to collect extra amounts of money that are not allowed by your contract or under the law. It also includes actions such as depositing a post-dated check early, threatening to seize your property when it cannot be done illegally, or contact you using a postcard. Harassment. If a collector harasses by threatening violence, using profane language, or repeatedly calling you (especially at inconvenient times) to annoy you into paying the debt, it is a violation of the law. Deceptive statements. Debt collectors are prohibited from lying to you about who they are, the total that you owe, or who they work for or represent. They cannot falsely claim that you are guilty of a crime. The paperwork they send you must be truthful. Also, a collector cannot provide false credit information about you to third-parties, including the credit reporting bureaus. It is important to understand that even if you are pretty certain you owe the debt to the plaintiff, you are still entitled to be treated fairly and with respect. If you believe a debt collector is violating your rights and harassing you, we can help. Whatever you do, don’t ignore a collection lawsuit. If you are interested in learning more about how we can help you stop the harassment or fight a debt collection lawsuit, contact one of our seasoned bankruptcy attorneys to schedule your appointment. This entry was posted in Debt and tagged collection, collector, debt, law, rights on May 25, 2015 by Michael Faro. 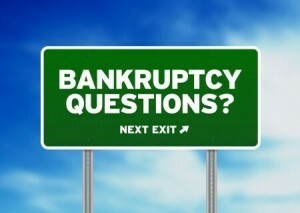 What Collection Activity Does a Bankruptcy Stop? Foreclosure. The foreclosure process is a collection activity halted by your bankruptcy filing. At a minimum, your filing can buy you some time to negotiate with your mortgage lender or at least remain in your home for a few additional months. Collection lawsuits. If a creditor, such as your credit card company, has filed a lawsuit against you, your bankruptcy filing will halt the litigation. 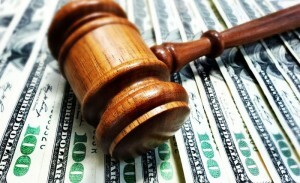 In many cases, the debt underlying the collection lawsuit can be discharged in your filing. Garnishment. Garnishments against your wages or your bank account will immediately halt when your Chapter 7 or Chapter 13 case is filed. You may also be able to discharge or eliminate the debt linked to the garnishment action, which means you are no longer liable to pay it. Eviction. Depending on whether your landlord has obtained a judgment for possession against you, the eviction process may be halted by your bankruptcy filing. This entry was posted in Bankruptcy, Chapter 11, Chapter 13, Chapter 7, Debt and tagged bankruptcy, collection, eviction, foreclosure, Garnishment, utility disconnection on December 12, 2014 by Michael Faro. When hard times hit and you are unable to pay your bills, it doesn’t take long for creditors to start pursuing you for payment. After a few demand letters and telephone calls, many creditors file collection lawsuits. We understand that this can feel overwhelming and we want to help. 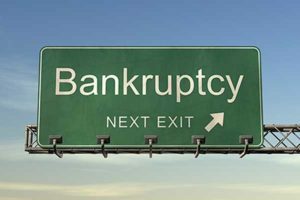 Depending on your individual financial situation, filing a personal bankruptcy case may the answer to getting the debt relief you need. How does filing Chapter 7 or Chapter 13 help? 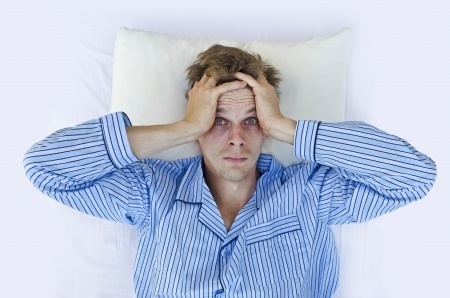 As soon as your bankruptcy petition is filed, the automatic stay goes into effect. The stay prohibits any further collection activity against you, including collection lawsuits. In other words, creditors cannot file collection lawsuits against you and cases that are already filed must come to a halt while your bankruptcy is pending. 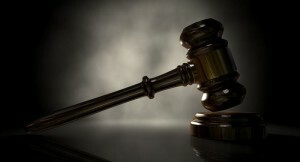 If the lawsuit filed against you is an action to obtain a monetary judgment, it will be put on-hold. If there are other causes of action that are not related to the creditor obtaining a monetary judgment, they may be allowed to proceed. Common examples of lawsuits that can proceed while your bankruptcy case is pending include criminal matters and child custody suits. In a collection matter, however, you may be able to eliminate or discharge the debt involved in the lawsuit, which means when you emerge from your bankruptcy case, the lawsuit will no longer be pending against you and you do not have to repay the debt. Your personal liability to pay discharged debts is eliminated in a successful Chapter 7 or Chapter 13 filing. 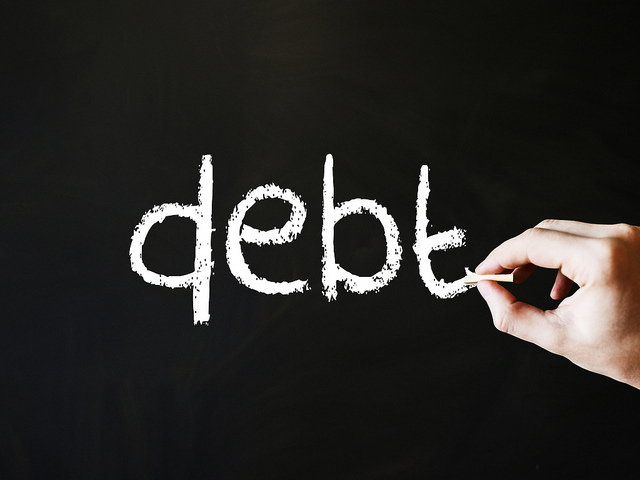 A personal bankruptcy can also be an effective way to comprehensively deal with your debt. ALL of your creditors must be included in your filing, so when you obtain your discharge order, it is truly a fresh financial start. If you have one or more lawsuits filed against you and you are wondering how filing for bankruptcy protection could benefit you, contact the attorneys at Faro & Crowder, PA, for a free initial consultation. Our office is located in Melbourne, Florida. This entry was posted in Bankruptcy, Chapter 13, Chapter 7 and tagged bankruptcy, Chapter 13, Chapter 7, collection, debt, lawsuit on September 4, 2014 by Michael Faro.